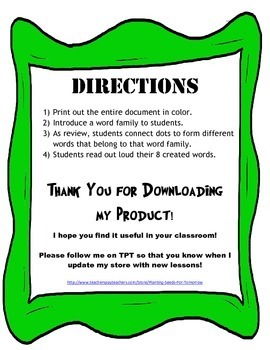 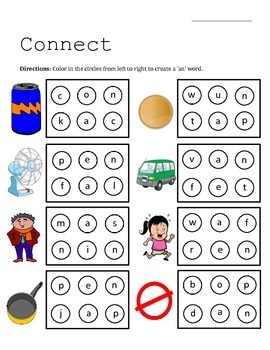 This worksheet has students use picture clues to determine 8 words per worksheet. 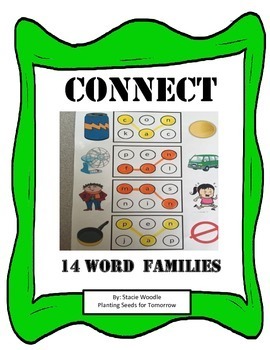 All 8 words have the same word family so students can catch onto the pattern. 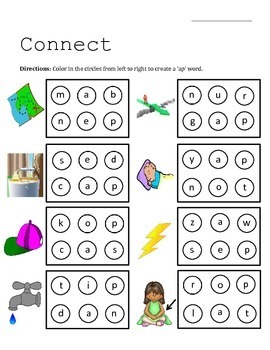 This activity provides repetition for students to remember specific letter combinations.